Refreshing watermelon smoothie with tropical notes of coconut, mango and banana. 1. 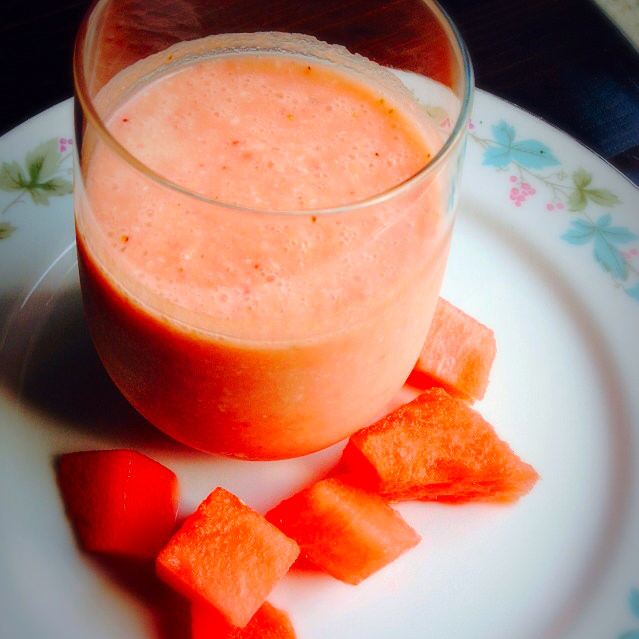 Put frozen mango, watermelon, strawberry and coconut into the blender. 2. Fill with coconut milk until about two thirds full.